Openness & Space to Your Day! 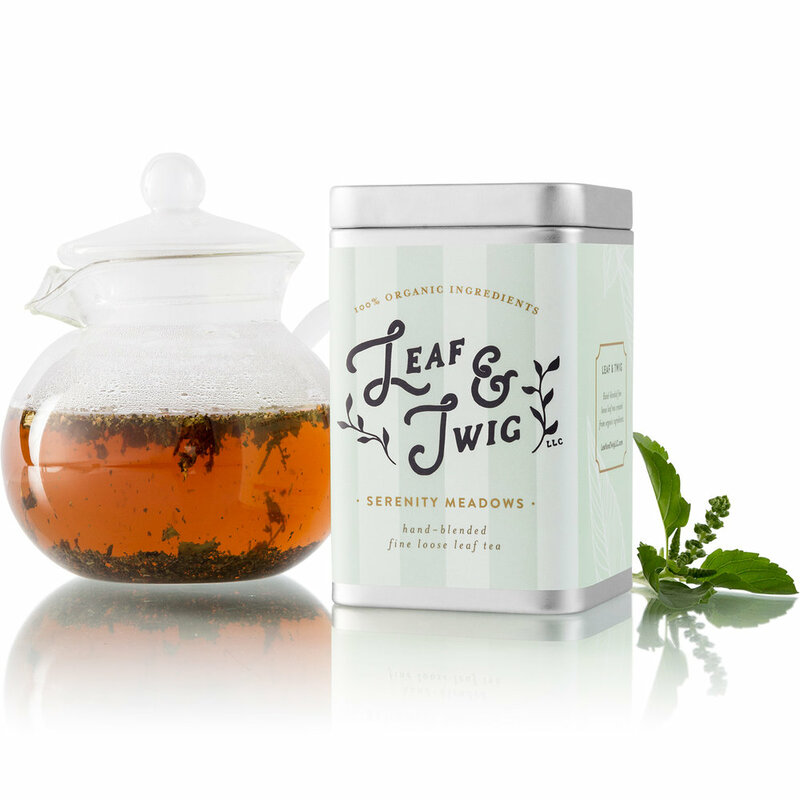 Looking for a warming herbal blend to give you an afternoon boost without worrying about not sleeping? Serenity Meadows is perfect for those who are avoiding or reducing caffeine and still want an energetic boost. 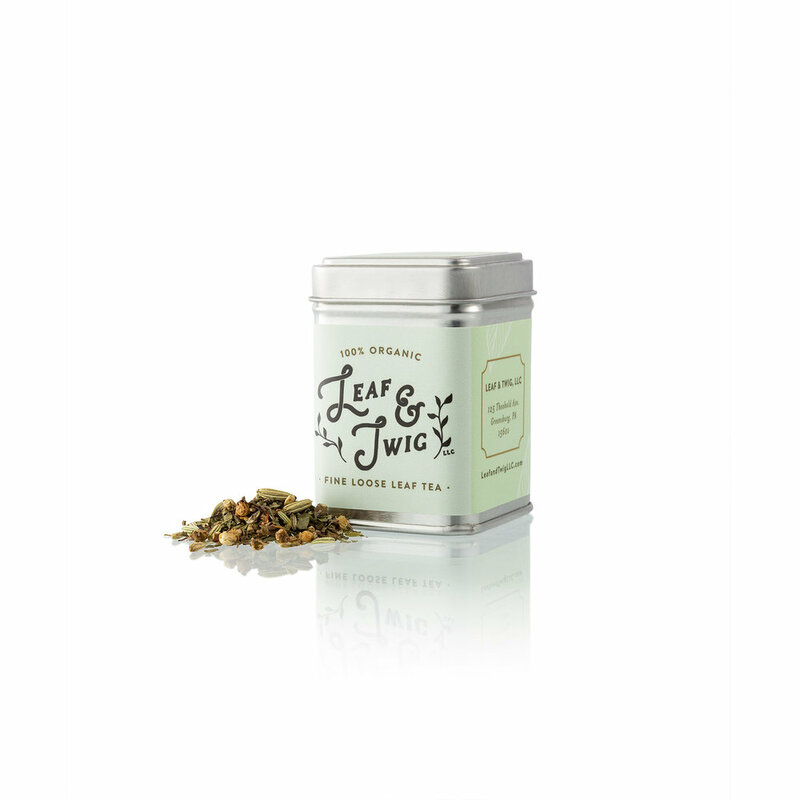 Adaptogenic Tulsi leaves, warming Hawthorn leaves and flowers, and refreshing Fennel Seed combine for a centering and stress reducing tisane. Large Tin - $13.50 | 25 Servings | 2.5 oz. Small Tin - $5.50 | 5 Servings | 0.5 oz. NEW! Bulk 1lb. Bag - $40.50 | 88 Servings | 8.8 oz. Tulsi is a pungent, bitter, and warming herb with a sweet taste. It is native to the Indian subcontinent and also grows easily in my southwestern PA garden. It is a perennial herb but acts like an annual in more temperate climates. 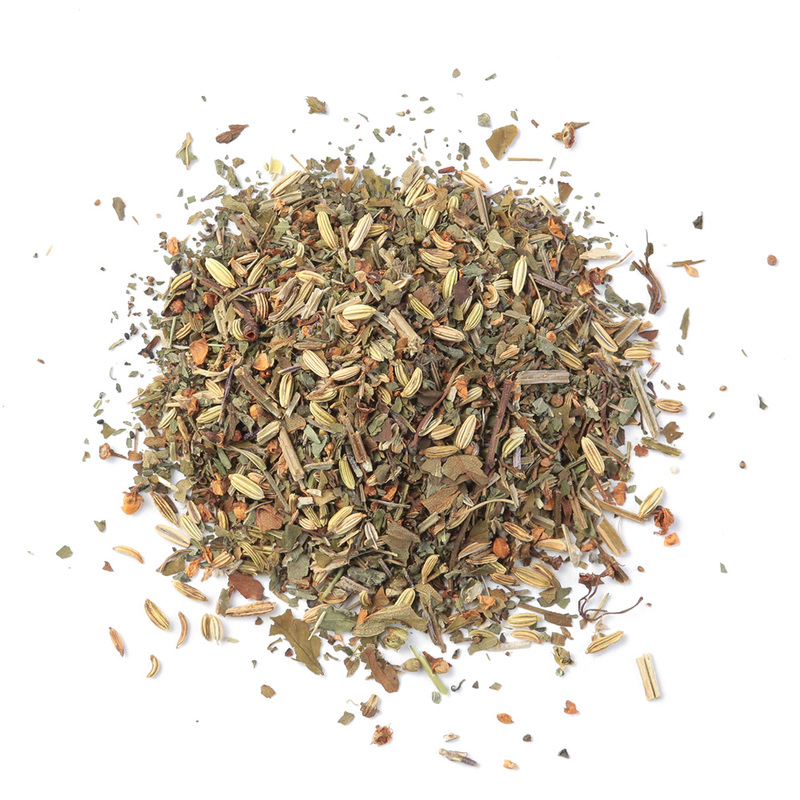 Tulsi is often used for support in the body’s defenses and can help lower the effects of chronic stress (adaptogenic). It is also used in calming the central nervous system. Energetically Tulsi balances chakra energies specifically with the sixth chakra (or third-eye). While there are no contraindications reported, use caution when pregnant. Hawthorn is an astringent, tonifying, nourishing, and supportive herb. Part of the rose family, it is found in woodlands of North America, Europe and East Asia. This herb is often used in all matters of the heart. It is used to increase blood flow and to regulate energy reserves and energy release. Hawthorn is also taken to ease fears and anxieties and is even believed to help heal a broken heart. Hawthorn has no known contraindications and is safe for long-term use. Fennel Seeds are commonly used for various intestinal complaints. Its aroma is also revitalizing, energizing, and can increase motivation. This herb can grow up to 6’ tall and is native to the Mediterranean region although it can be grown in other climates. Energetically Fennel Seeds are slightly warming and are seen in Ayurveda as able to balance all three constitutions. Ancient Romans and Greeks viewed fennel as a source of strength, courage, and longevity. There are several contraindications with fennel. Avoid if allergic to celery, carrots, or mugwort. Do not take this herb medicinally longer than two weeks at a time. Use only in culinary doses while pregnant.